The Sky’s the Limit! Explore More in the Air or On the Ground. 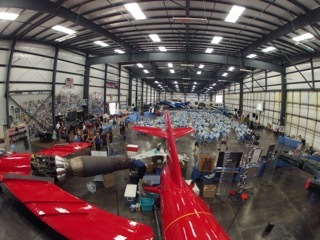 We are proud to offer the power and precision of the Patriots Jet Team to your next onsite, offsite, or in air event. Organizations now have the unique opportunity to display some of the most powerful jets in the world and feature the world famous pilots that fly them. Take advantage of inspirational corporate speeches from Patriots Jet Team members for your sales conferences, marketing events, and other corporate meetings. The pilots from the Patriots Jet Team will share their experiences and knowledge of extreme flying that relies on precision, awareness, and courage for success. Reveal the raw power and presence of a static MiG-17 jet on the show floor of your event and allow your guests to experience the cockpit of these incredible machines. Plus, you can impress and inspire your guests by bringing Patriot Jet Team members in flight gear. Provide memorable photo opportunities to your guests as well. Offer raffle winner(s) the lucky opportunity to fly with a Patriots Jet Team pilot*. Plus, they can tour the Patriots Jet Team hangar and facilities. Are you ready to launch that next big thing? What better way to get your brand message across than in the air? Integrate air marketing in your corporate communication plans to generate that extra excitement you need to fly high. NFL stadiums and other sport engagements have a captive audience. Aerial flyovers are a great way to promote your brand. These powerful messages can be linked to social media campaigns for greater effectiveness. Get your message and company name across loud and clear to air show audiences with the Patriots Jet Team aerobatic performance just like the Navy's Blue Angels or the Air Force's Thunderbirds. With more than 10 million North American air show attendees per year in the United States, it’s a great opportunity to create a buzz and increase company exposure. Do you want to create buzz and excitement for a new partnership, or take the team offsite for a change of environment to boost creativity and morale? Bring your team to the Patriots Jet Team facility and get a tour of The Patriots Jet Center and hear from the pilots. This package includes a catered lunch and event planning services. Plus, you can add the “Fly with a Patriot for a Day” Promotion and photo opportunities for your guests. A minimum four-hour booking fee will apply. Other rental charges may apply for seating and meeting items if needed. Think outside the hotel conference room for your next event and inspire your audience with the Patriots Jet Center. It’s an epic space for your events, conferences and the like, providing an awe-inspiring location with plenty of space that will provide long-lasting memories. Your full planning services included with your booking.